A good enduro jacket is essential for off-road riding in colder conditions. 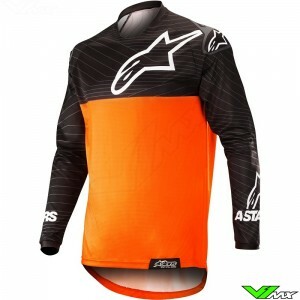 At V1mx you will find a wide range of enduro gear from top brands. An enduro jacket must be able to handle a wide variety of off-road conditions. The most important technical features are explained below. There are different types of enduro jackets available. The most popular is the standard version with long sleeves. In addition, body warmers are also available. The body warmers are perfect to wear in combination with an enduro or motocross jersey. 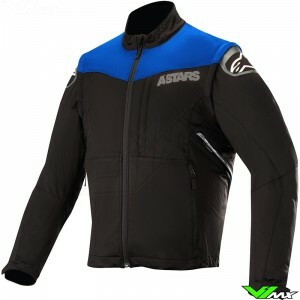 Finally, there are jackets available with zip-off sleeves, these offer a lot of adjustability to the riding conditions. When enduro riding you will sooner or later have to deal with water. There is a lot of difference in the degree of water repellency of the enduro jackets. Some are completely water-proof, others not at all. There are also jackets that have a waterproof storage bag, ideal for storing car keys, for example. V1mx provides clear information with the technical characteristics of each jacket, so you can easily find one that meets your needs. For enduro riders it is important that the jacket is comfortable in all circumstances. You want something that keeps you warm in the winter, but can also be used in warmer weather. Most jackets have ventilation holes that can be opened and closed. The enduro jackets with detachable sleeves offer the rider even more freedom to adjust the ventilation. Furthermore, the breathability is also important. Sweat must be absorbed and removed by the air. 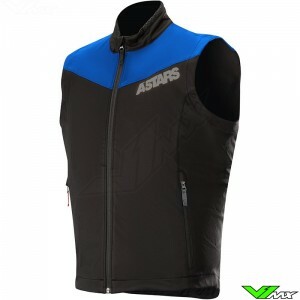 This helps the rider perform by regulating the temperature. V1mx has an extensive range of enduro jackets from the best offroad brands. 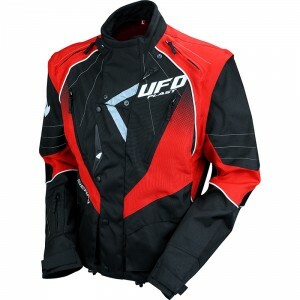 The enduro jacket from UFO is one of the most popular, because of the excellent price quality ratio. 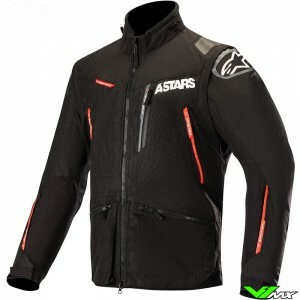 It is available in many different color combinations, so that each rider can find a jacket that matches their outfit. 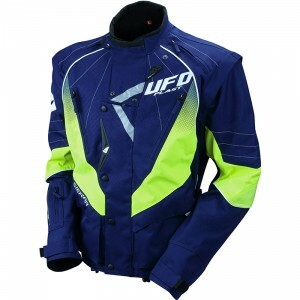 The comfort of the UFO enduro jacket is perfect, because it is equipped with many stretchable panels. In addition, it has multiple ventilation holes to cool the rider. Practical bags on the UFO jacket are ideal for storing your belongings and tools. Recently, the Italian brand Alpinestars expanded their enduro collection. Different models are now available, ranging from enduro jackets, jerseys to body warmers. 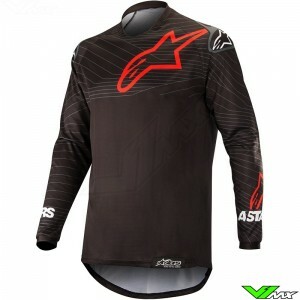 Check out the full collection of Alpinestars enduro jackets now. Do you want to purchase a new enduro jacket, but you still have a question about the products or about placing an order? Please contact our customer service. We are happy to help you choosing the right enduro gear.